Our monthly newsletter features expert advice and tips from our professional, experienced painting contractors. Our newsletter contains several areas of interest including painting repair tips and general home improvement information. 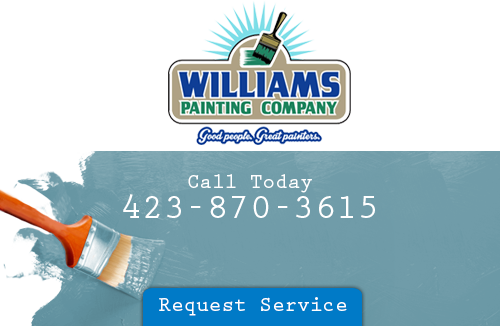 The protection of your privacy is important to us at Williams Painting Company LLC. Rest assured that the personal information you provide us with will not be disclosed to other parties and will be used solely for the purpose of bringing you the best service possible. If you have any questions about our newsletter at Williams Painting Company LLC, your Chattanooga painting contractor, please call us at 423-870-3615 or fill out our online request form.